1890... 50 years... 1940. 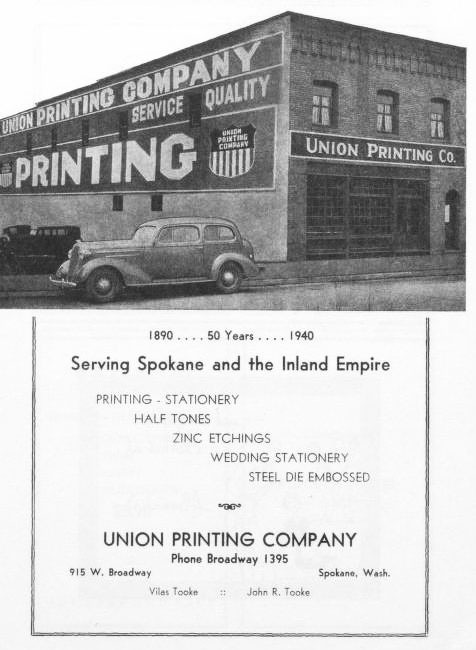 Serving Spokane and the Inland Empire. Printing - stationary, half tones, zinc etchings, wedding stationary, steel die embossed. Phone Broadway 1395. Vilas Tooke. John R. Tooke.